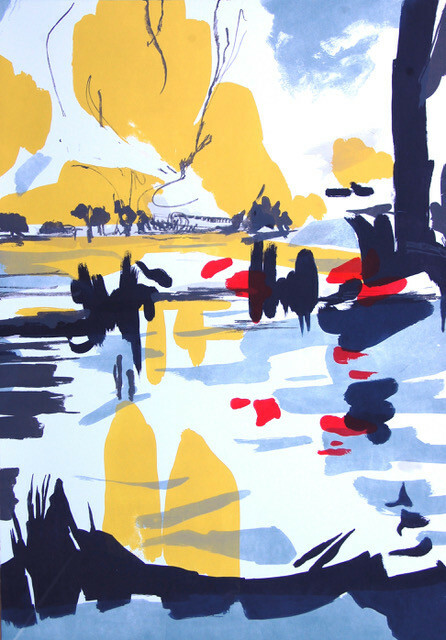 Rachel Gracey’s landscape prints are inspired by seasonal changes in the natural world. This exhibition is a unique opportunity to see the full series 'A Walk in the Parks' which are based on the University Parks in Oxford. Gracey finds lithography and relief printing are the most satisfying and captivating means to catch what she has seen and felt. She is interested in the power of line, shape and colour to convey familiar landscapes through the changing cycles of the year. Her lithographs have abstract qualities that emphasise spatial relationships between natural forms, and the changing experiences of cherished places in different lights and seasons.